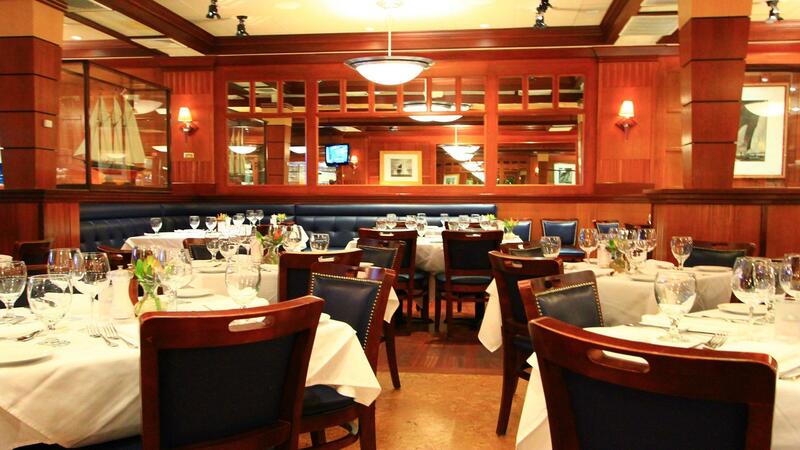 Rent Vintage Seafood Restaurant | Corporate Events | Wedding Locations, Event Spaces and Party Venues. Open since 1978, this classic Boston favorite for seafood focuses on the fine-quality seafood and the freshest catches of the day, offering guests a wide variety of daily seafood selections. This restaurant is a seafood haven for locals and tourists offering signature classics including award-winning New England clam chowder, Maine lobster pot pie and for the more adventurous, San Francisco cioppino and a signature swordfish chop. Our dining room is reiminiscent of a classic cruising vessel featuring detailed woodwork and beautiful murals that reflect the spirit of the sea. Our spectacular outdoor patio is the ideal spot for guests to enjoy cocktails and sample Boston's Best Seafood. This is a captivating, upscale setting ideal for business meetings, lively social occasions or any other group dining events. Customize an intimate seated gathering for 22 guests in our private dining room - or throw a lavish party using our entire restaurant and patio for a night of grand festivities.